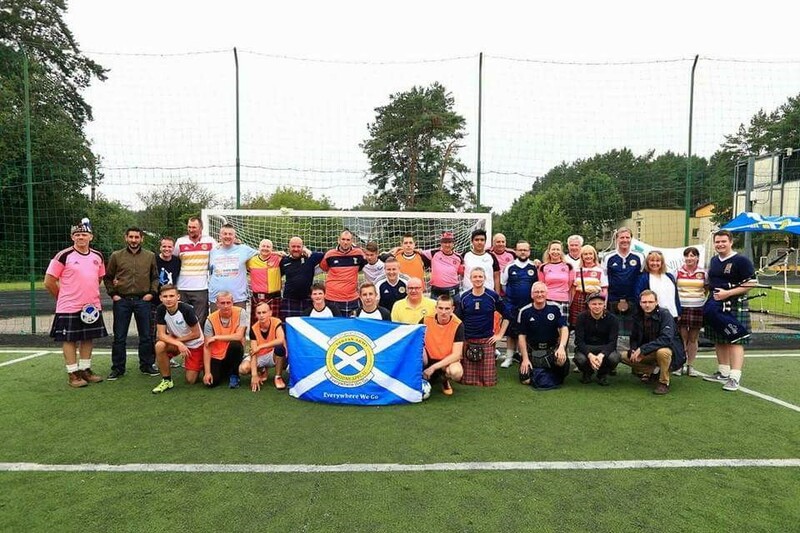 On the 1st of September the Tartan Army Sunshine Appeal visited the Vilnius University Business School where the Vilnius Social Club had arranged a venue to show us what they do and to challenge our band of merry men to a 7-a-side match. The Vilnius Social Club were chosen as the recipient of a £5000 donation by the Sunshine Appeal on behalf of our supporters. The club have a proven record in Lithuania of doing wonderful things for underprivileged children in Vilnius through the medium of football. They have also been recognised by the Lithuanian Football Federation with the equivalent of a grassroots award. On our arrival, Cedric, one of the club mentors explained to us what the Social Club do and who it caters for. He was keen tell the crowd that had come along the benefits of football education to the life skills and opportunities that it presents to the children from the age of 6 to 18. 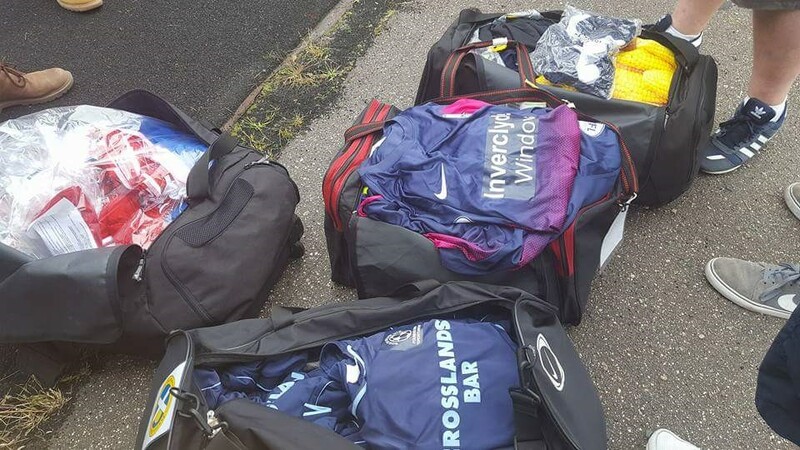 Clark Gillies had organised in the weeks prior a collection of past season football kits from various clubs around Scotland. These were presented to the Social Club who were extremely thankful for this. 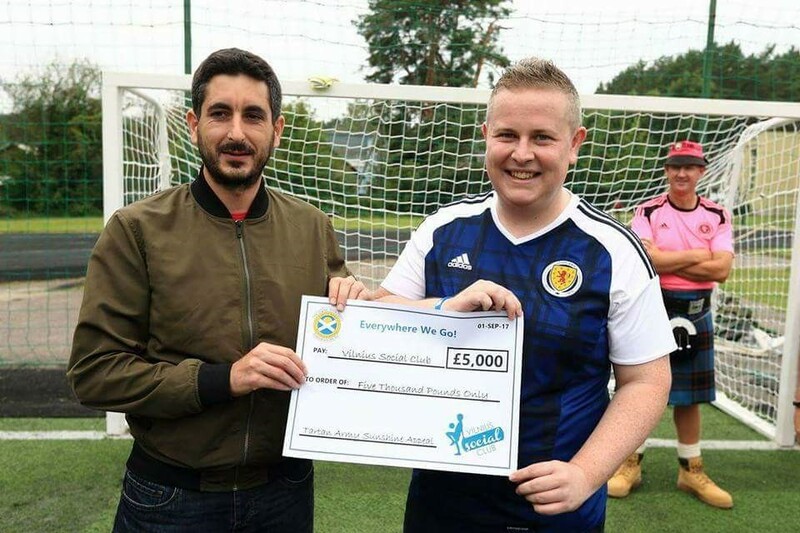 The kids had nothing more than plain t-shirts of the same colour as their kits and this small gesture by clubs around Scotland will give them such a boost by being able to turn out in the same kits as their teammates. 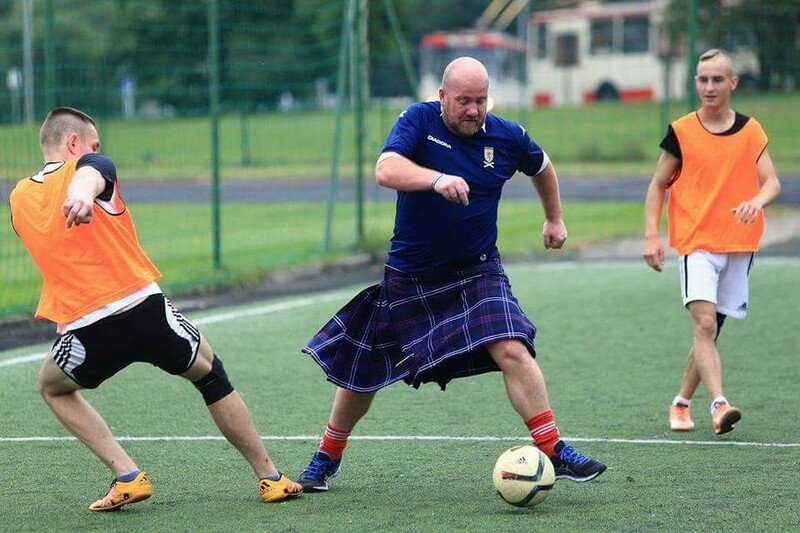 The 7-a-side itself was a competitive encounter with the youngsters running rings around TASA FC, mainly Neil Forbes. However it was the Sunshine Appeal who took an early lead. The match continued to be tight and finally finishing 3-3 and it was off to penalties we went. 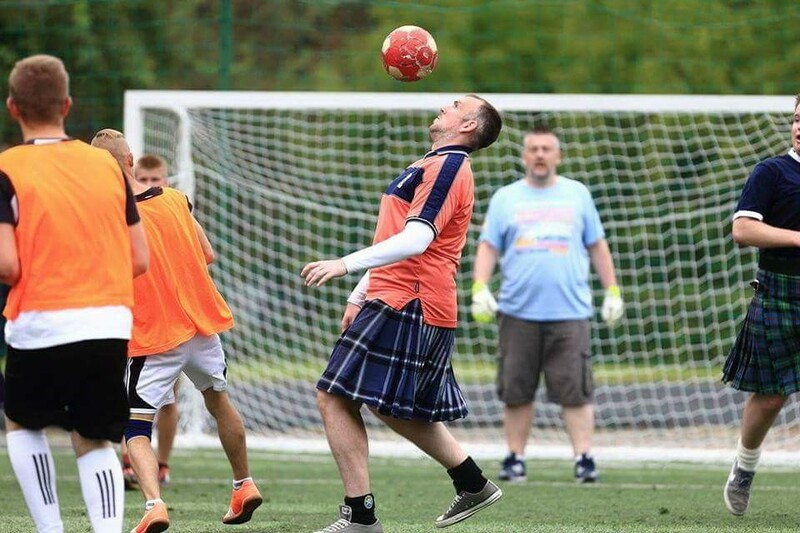 After an assured display in goals it was Stevie Miller with a cat-like diving save that won the match for the Sunshine Appeal and we are happy to report our 3 match record still reads 3 played – 0 defeats. The Vilnius Social Club will be using the £5000 donation to ensure pitch hire and football equipment con be continued for the club which has achieved so much so far. We wish them all the best and maybe one day, the national team will have a player who has come from the Vilnius Social Club.